The first steps to landscape planning is a site evaluation. Trees and shrubs vary in their ability to tolerate different site conditions. Therefore it is important to select plants to match the existing growing conditions of your yard. Depending on your soil conditions, certain vegetation flourishes while other plants may need more maintenance or fail to thrive. Careful planning of choosing the right trees, plants and grass for the right place is an important consideration to set the tone and texture to an outdoor space. The use of landscaping techniques can expand the view and add depth, texture to your yard. While correct landscape choices provide a pop of color all year round and brings out the beauty of each season. We consider the aesthetic, functional and horticultural requirements of your landscape design for the best growing and maintenance results. 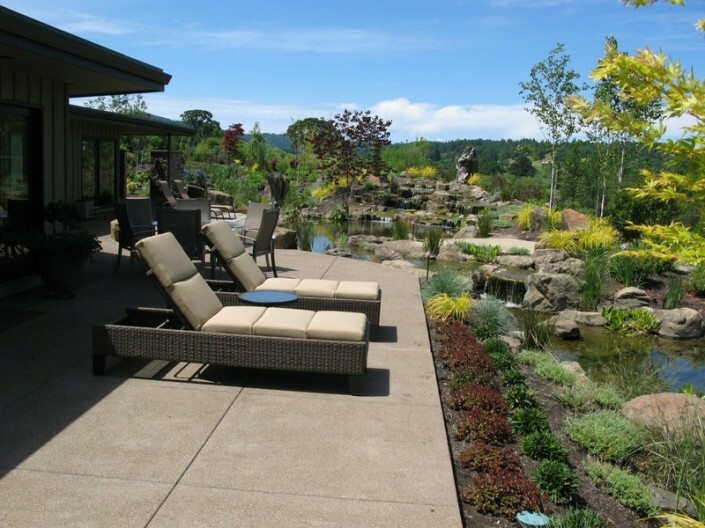 Contact us for a free landscape consultation, and learn how to create beautiful and functional outdoor spaces.